Wow, what a way to think, can you dance without your eyes, well the answer is YES, dancing is about feeling your body move, others watch it. 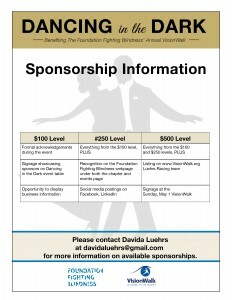 We are proud to have partnered with Foundation Fighting Blindess to host Dancing in the Dark, a night full of surprises. 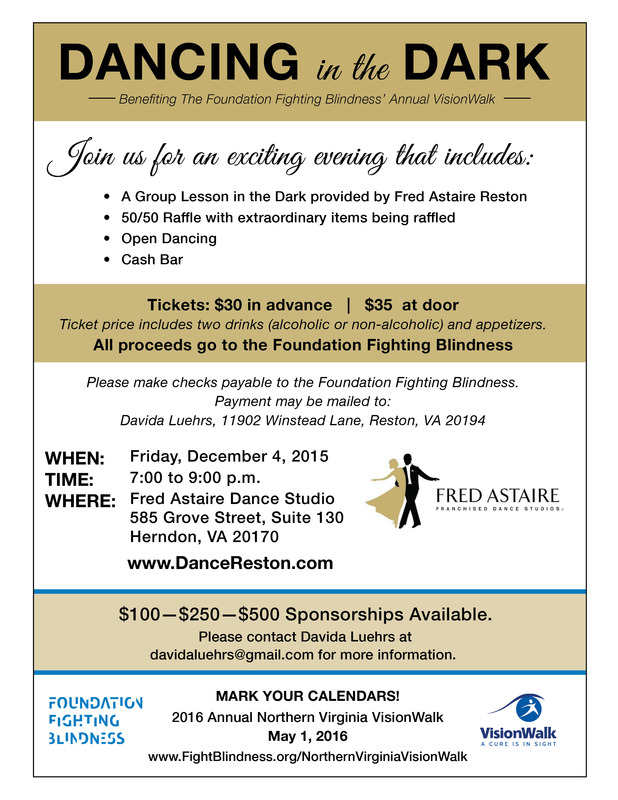 Sit down dinner, open bar, silent auction and yes a group class where you loose your sight for 45 mins!!! 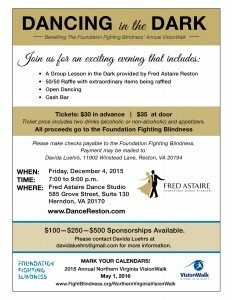 then dance the night away Fred Astaire Style. 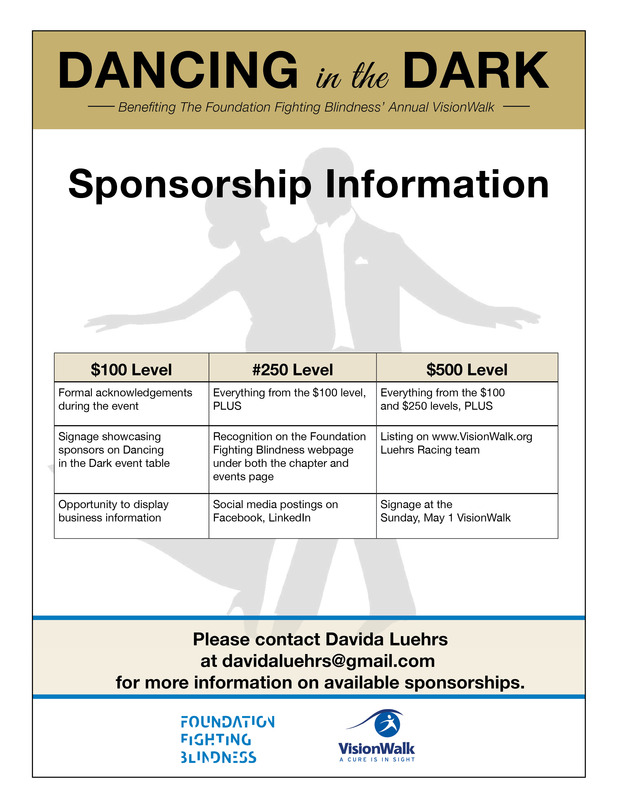 100% of proceeds go to the Foundation, which is tax deductible. Please join us for this unique experience.